The Laser Class is a layered organization with the various racing Fleets being organized into Districts which are then organized into Regions which then make up the International Laser Class. The North American Region includes mainly Canada and the USA and is composed of 26 Districts. To determine which District you live in, check out the map on the Districts page. You can then follow one of the links provided at the bottom of that page to go to a page giving basic information about your District, including the current shedule of events, a list of active Fleets in that District and, most importantly, information on how to contact your District Secretary. When looking for information in your District, your District Secretary is the person who can give you all the information and point you in the right direction so don’t hesitate to conact them! Many Districts also support their own web pages and, if they do, you will find a link to it there as well. I’m not so young anymore… can I still sail a Laser? YES!!! Laser Master’s sailing is huge througout the world but particularly in North America. 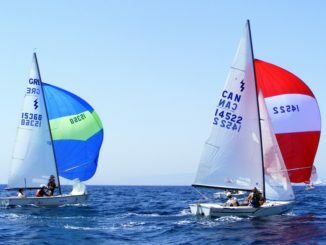 Master’s sailing recognizes that sailing a Laser is physically demanding and, as we cross into our 30’s and above, our bodies aren’t going to allow us to keep up with the kids in all conditions. 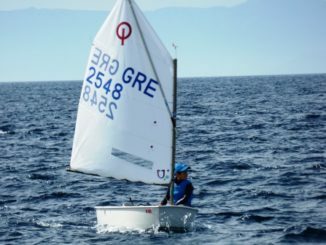 Master’s sailing starts at ag 35 and, just to keep the playing field as level as possible, further divides into age divisions: Apprentice at 35-44, Master at 45-54, Grand Master at 55-64 and Great Grand Master at 65 and above. Master’s sailing culminates every year in the Master’s World Championship, which is a highly competitive regatta but one where the emphasis is definitely on having a good time! Check out the Master’s page to see what is going on in North American Master’s sailing! Want to see what kind of racing exists in the North American Region? Check out the Calendar section where you can see a list of all upcoming events in all Districts/Fleets in North America! Looking for a specific type of sailing? With the Laser and Radial both Olympic Classes, you will find racing at all levels in North America, from fun evening beer can races all the way up to ISAF Grade 1 events with all the Olympic Hopefuls pushing as hard as they can. If you are an Olympic hopeful, check out the list of major events in the calendar. If you are over 35 years of age, then Master’s sailing is the ticket, check out the Master’s Events to see where the big events are this year! Maybe you want to sail in enough Vanguard Grand Prix events to try to win prizes at the end of the year? Then check out the upcoming District Grand Prix events! Looking for a way to communicate with other Laser sailors from around the world? You have several options! When you join the North American Laser Class your e-mail address will be added to the Class news list and you’ll receive periodic news updates throughout the year (a new feature!). To talk back and forth to fellow sailors you have two choices: The Laser Forum and The Laser e-mail List. 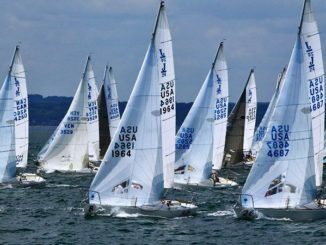 The Laser Forum is, as the name suggests, a website forum consisting of well over 3000 members worldwide talking about everything to do with sailing and racing Lasers. Forums aren’t for everyone, for those who prefer to receive their discussion in the form of e-mail there is the Laser e-mail list, you can sign up for it now, or peruse the archives and see if it is for you. There is also a Master’s e-mail list which you can sign up for and which also has its own archives. Whichever you choose, there is no shortage of great discussion with Laser sailors worldwide!